Had Had To Call Off Or Had To Call Off? The trip was part of Mr Putin's two-day visit to Greece. Mr Putin arrived at the monastic harbour of Dafni on board a private yacht amid heavy security. He visited the Russian Orthodox Saint Panteleimon monastery - one of 20 at the site. 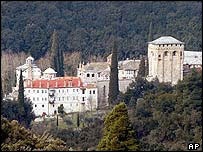 Mr Putin had had to call off two earlier attempts to visit Mount Athos, regarded as the European cradle of Orthodox Christianity, the main religion in Russia. Is it correct to write 'Mr Putin had had to call off two earlier attempts to visit Mount Athos, egarded as the European cradle of Orthodox Christianity, the main religion in Russia'? I think it is enough with 'Mr Putin had to call off two earlier attempts to visit Mount Athos, egarded as the European cradle of Orthodox Christianity, the main religion in Russia'. Your version would be tolerated, because of the presence "earlier," which clarifies the sequence of events. Don't write like that in a test, though, or you may fail. had had is used to emphasize that the calling off of the two attempts happened before the arrival at Dafni and the visiting of the monastery. This often happens when the story is not told in chronological order. It's a way of going backwards in time instead of continuing the story in order. He selected all the items he wanted. He approached the check-out counter. Whoops! He had forgotten his wallet. CalifJim, I guess he forgot the wallet at home. That is what you means. Because leaving the home to go to supermarket was the first event here. Could I use the same sentence when I shop at a supermarket? No, if it's you who speaks at that exact time. Learn the present perfect. Click on the present perfect button underneath your original posting, to see related threads. Oh! I've forgotten my wallet. You use I had forgotten only when you tell your supermarket story to someone else (in the past tense) later!